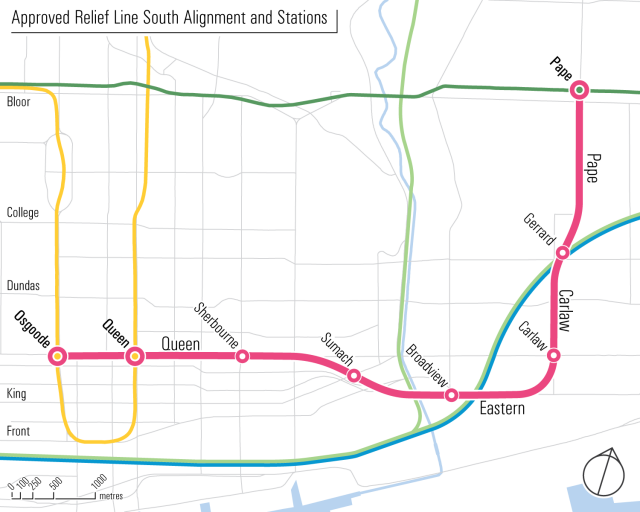 Metrolinx has published their Initial Business Case in which they conclude that transit network forecasts show that the Toronto Relief Line South needs to be in operation before the Yonge North Subway Extension into York Region. Both the Relief Line South and North and the Yonge North subway extension are priority projects that Metrolinx has included in its 2041 regional transportation plan. Markham Mayor Frank Scarpitti, an avid proponent of the Yonge extension, has called on Premier Doug Ford to publicly confirm the Provincial Government will proceed with both projects.